Disclosure – this post contains affiliate links. That means, if you click through and purchase, I get a small percentage, at no additional cost to you, thank you! If you’ve been reading Food and DIY for very long, you know that I am a huge fan of The Pioneer Woman’s line of kitchen & dining products. 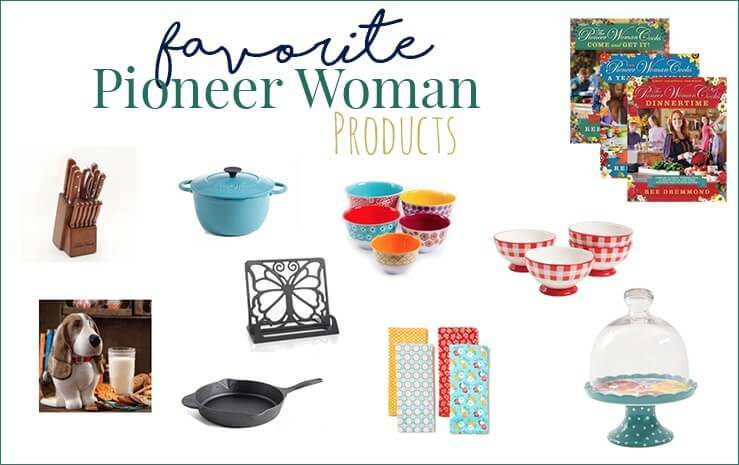 Any of these items would make GREAT gifts if you know someone who loves The Pioneer Woman as much as me! 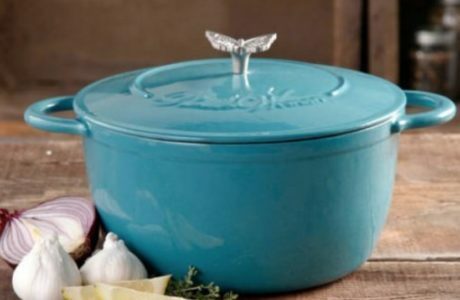 I own one of these enameled cast iron 5 quart dutch ovens. I use it on a weekly basis. It is ALWAYS in my fridge or in the kitchen sink waiting to be washed. You can use it for soup, stew, large cuts of meat. It’s also great for meals that go from the stovetop to the oven. I also own a 10 inch cast iron skillet with helper handle. If I’m not using the enameled cast iron dutch oven I am more than likely using this cast iron skillet. I’ve made Skillet Apple Crisp, Hamburger Steaks & Gravy, and many more recipes with this cast iron skillet. I LOVE my 10-piece nesting mixing bowl set. I use these every single day. 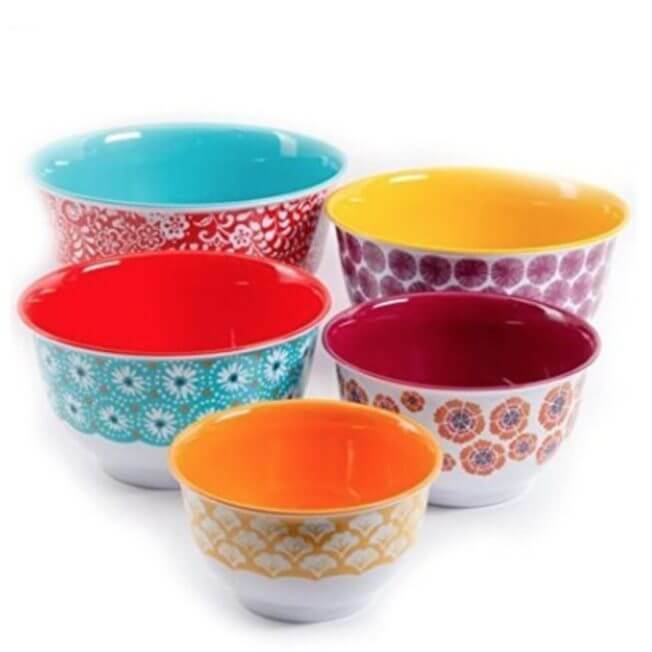 The size range is perfect, I can mix up a huge batch of tuna salad or I can store leftovers from dinner in these bowls. The medium sized bowls make great fruit bowls. And the whole set is SO PRETTY!! You can also see they make great serving bowls for Pumpkin Spice Puppy Chow. No kitchen is complete without lots of towels. Especially with 3 kids in the kitchen. I need towels that are going to work and absorb the mess. I love The Pioneer Woman Spring Floral Kitchen Towels. 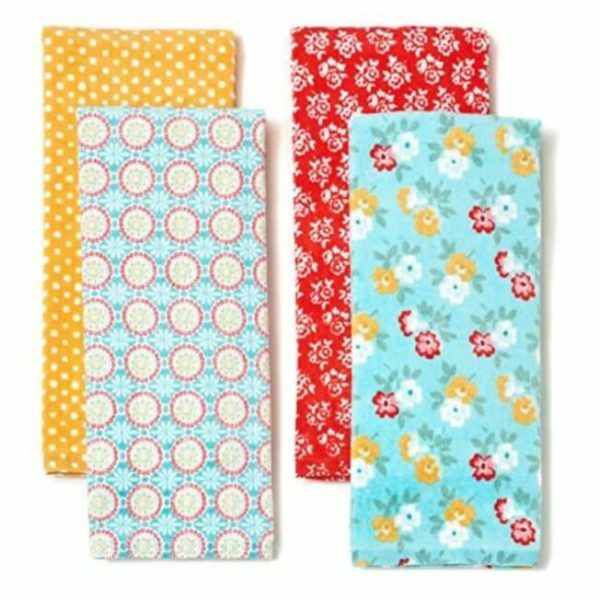 Because let’s face it, kitchen towels often end up stained, the pretty prints of The Pioneer Woman Kitchen Towels hide any stains that might happen! 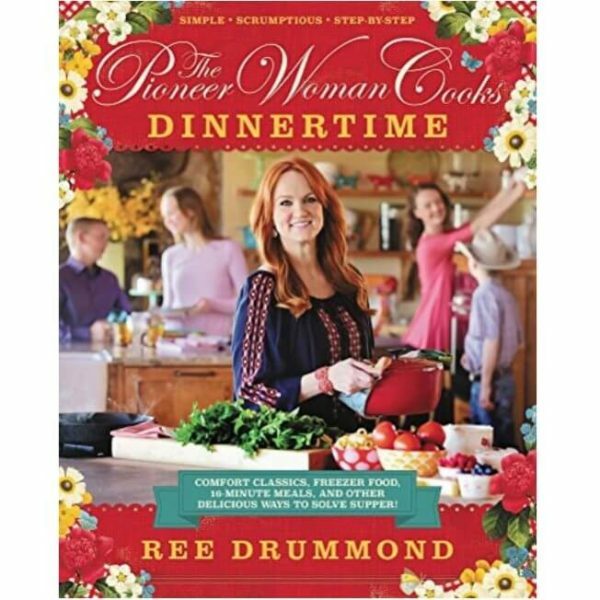 The Pioneer Woman Cooks Dinnertime Cookbook is my favorite! I also own A Year of Holidays and I REALLY want the new one Come and Get It. I love that these cookbooks tell stories, they aren’t just pictures of food and prepping (which is beautiful in itself!) but I love the stories and photos from her life on their ranch. 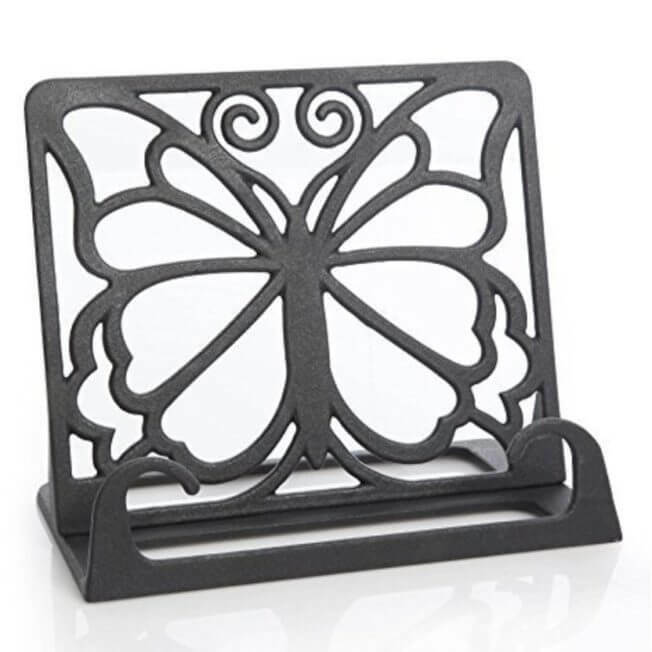 I display The Pioneer Woman Cookbooks on this Butterfly Cookbook Holder. It’s great for when you are cooking one of the recipes, it helps the book stay open to the page you need. In my case, this helps my cookbook stay clean. This knife block is THE BEST. I love it. 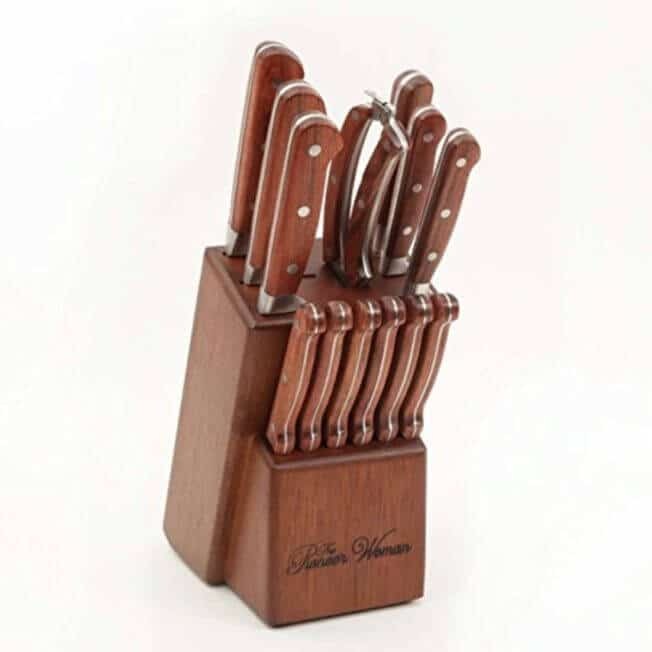 You can choose from a few different colors but I love the knife block set with the rosewood handles. I like the rustic look of them. I also love that the set comes with a knife sharpener, my last block did not and the knives were HORRIBLY dull by the time I got new ones. 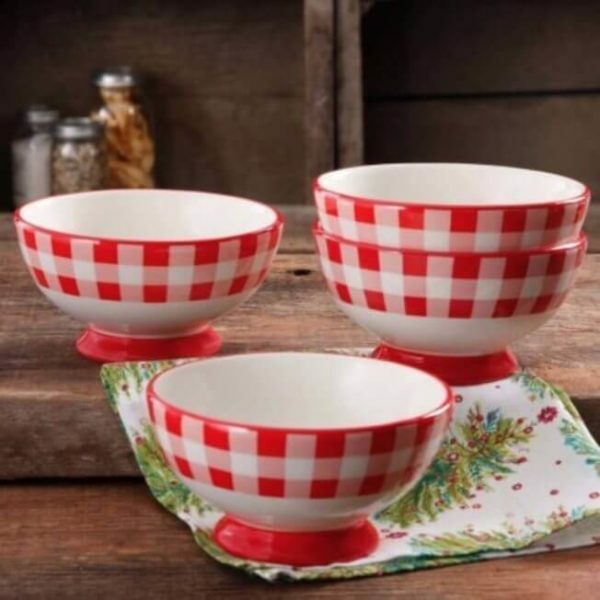 I don’t have these footed bowls in charming check but I think they are ADORABLE. I do have some of the footed bowls though and they make the dining table so pretty when used to serve dinner or parties! My little guy loves a little, stuffed charlie dog that he got on a visit to The Pioneer Woman Mercantile. 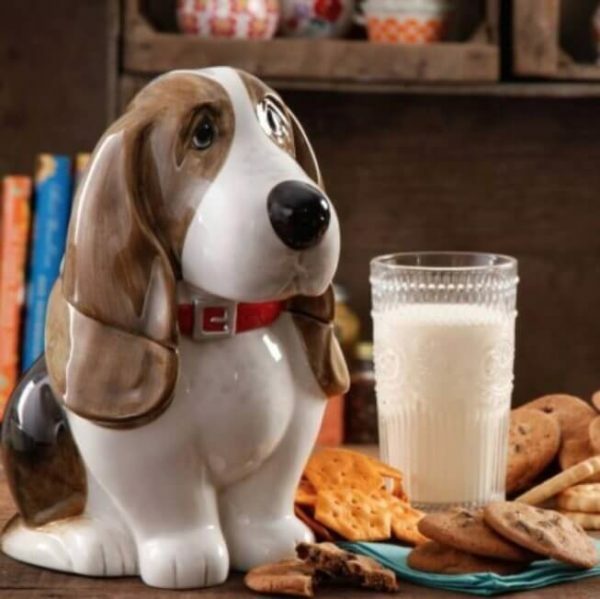 The same visit resulted in us getting a Charlie Cookie/Treat Jar. I use mine to store cookies or muffins so the kids can grab and go in the mornings. 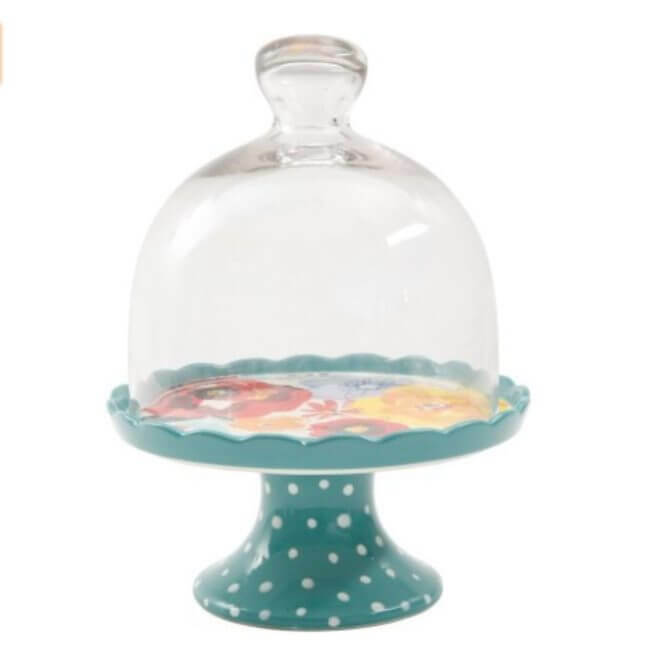 I think this Mini Cupcake Stand is ADORABLE. So pretty to serve brownies or fudge during the holidays…. or any time! Don’t forget to pin this post for later! These would make GREAT gift ideas for Christmas, Birthdays, Mother’s Day, any time you need a gift! Which products is your favorite? 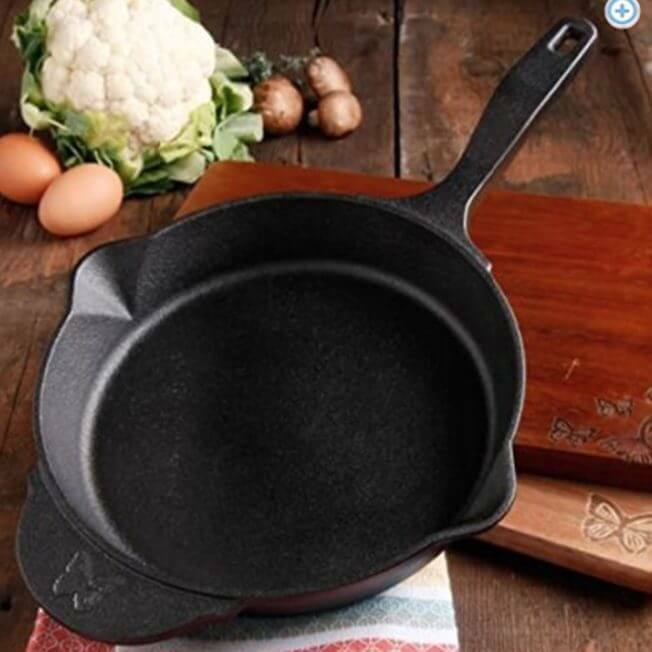 Do you own any of The Pioneer Woman products?